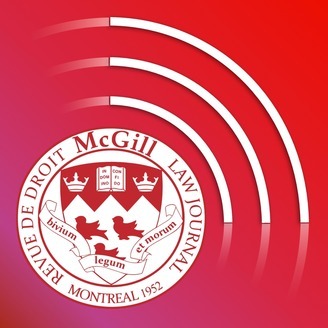 Under volume 57, the McGill Law Journal became the first Canadian legal journal to launch a significant podcast series. The goal was to increase the Journal’s online presence by providing a forum in which to discuss important legal questions, while connecting with our audience in a deeper way. 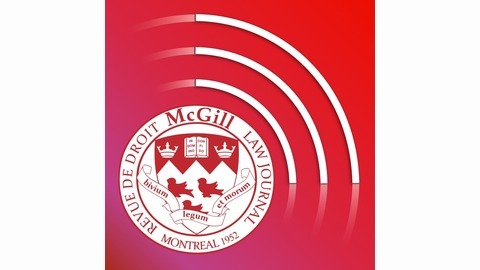 Please email journal.law@mcgill.ca if you have any questions or suggestions regarding our Podcast series. Subscribe on iTunes here: http://bit.ly/1r8tuZd. Part one of Causing a Comeau-tion explored an attempt to break down interprovincial trade barriers in Canada through the use of litigation. In part two, we consider the consequences of the case. The Supreme Court ruled that the existing barriers to the sale of alcohol across provincial borders do not violate the constitution. While the case might initially appear to be a straightforward defeat for the litigants, the case could lead to other types of victories that prove it to be an example of successful legal mobilization. We get back in touch with Howard Anglin and Professor Christopher Manfredi, who share their thoughts on the decision and what its ultimate outcomes could be. This podcast is by Adam Casey, Podcast Editor for volume 64 of the McGill Law Journal.